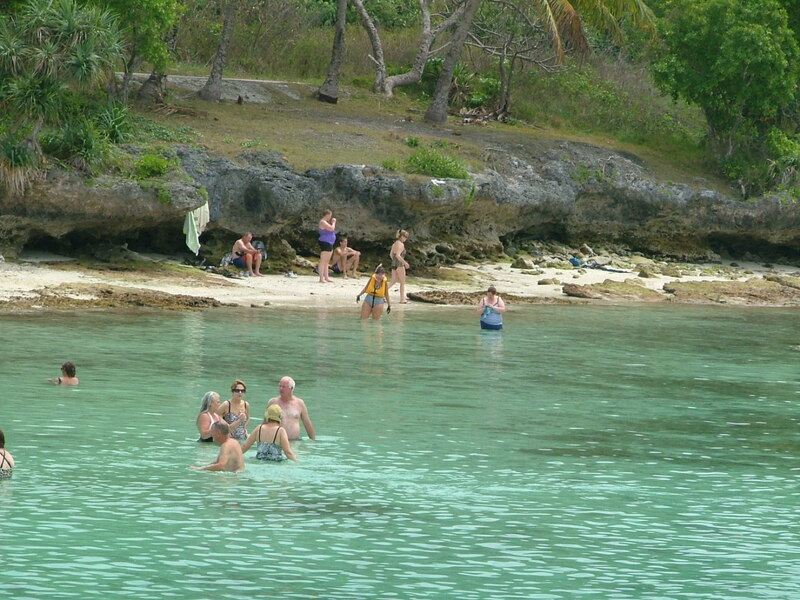 The second stop on the Celebrity Solstice Pacific Island Tour was Lifou, Loyalty Island. 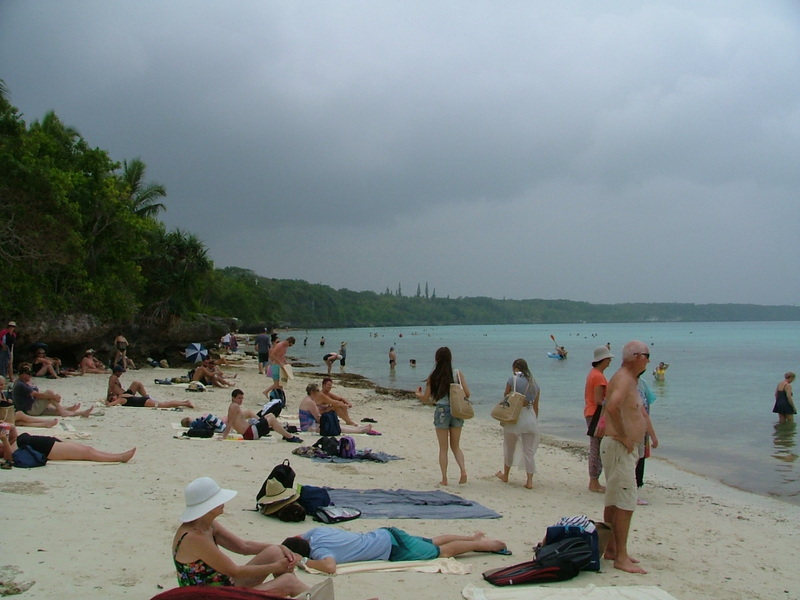 Lifou Island or Drehu in the local language is the largest, most populous and most important island of the Loyalty Islands (Loyalty Islands Province), in the archipelago of New Caledonia, an overseas territory of France in the Pacific Ocean. For this stop, we were not able to dock on the island, so we were transported via “tender.” Tenders are the lifeboats on a ship of this size. 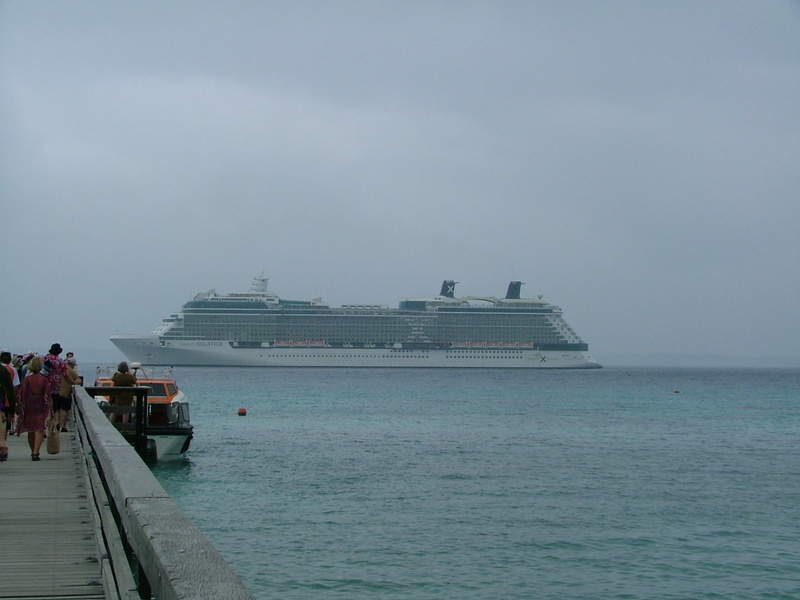 The ship anchors just off shore and then several tenders are lowered into the water and run back and forth between ship and island from about 8:00 a.m. until 4:30 p.m.
Celebrity Solstice Tender taking passengers to island. 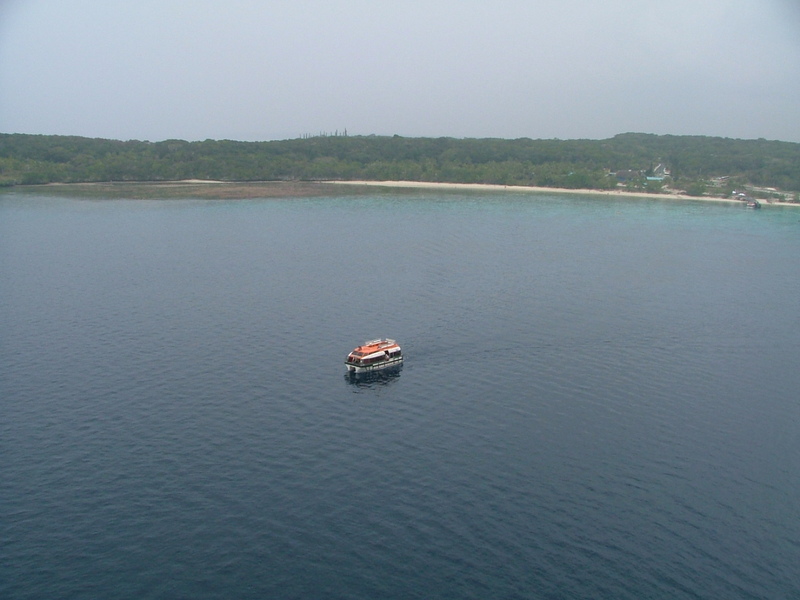 As before, excursions were available for purchase on board, and some are also available for purchase on the island. 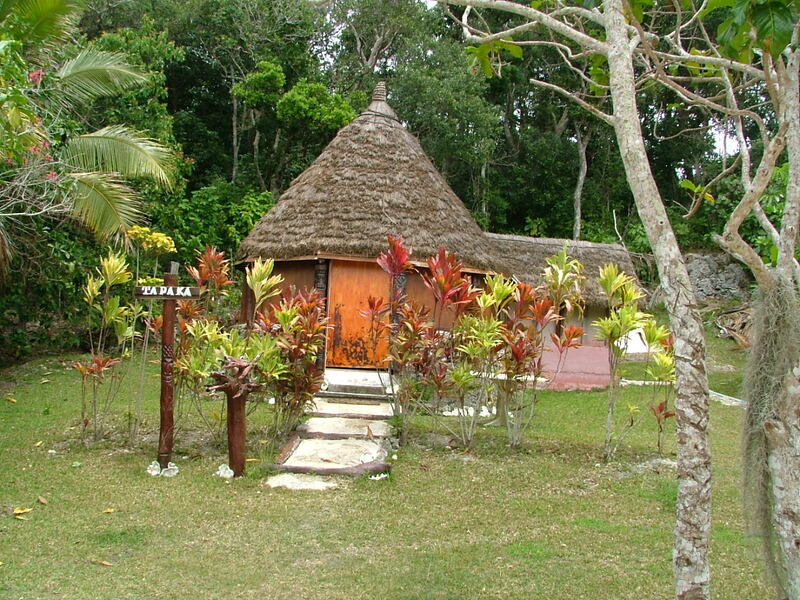 Some travelers prefer to purchase excursions on the islands because they tend to be cheaper. The downside to these is that you don’t know what they are until you get there, and the timing may not be exactly right for your needs. Quality may also be an issue, but if you’re up for adventure, you probably don’t worry much about that! Once again, I chose to pass on excursions for this visit in favor of wandering on my own. Several local vendors offer hair braiding and massages. 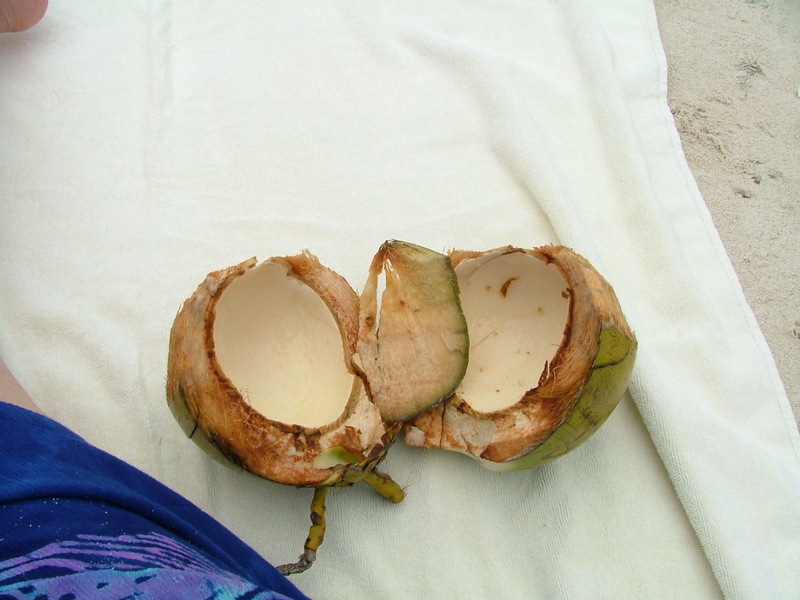 Coconuts are also very popular. 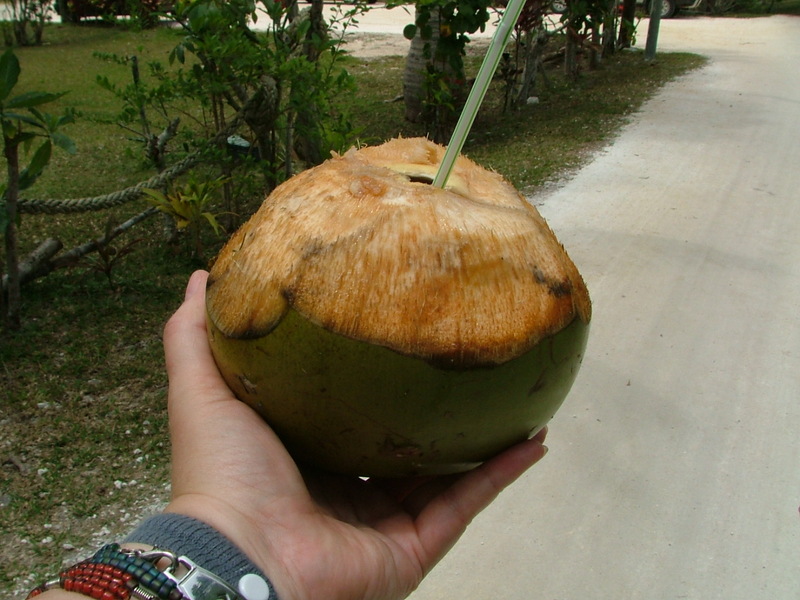 The vendor will chop the top off a coconut for you and insert a straw for you to drink the coconut water. When you’ve finished drinking the water, you can bring the coconut back to the vendor and they will slice it in half and give you a small piece of coconut shell to use to scoop out the flesh. My coconut wasn’t ripe enough for scooping actual flesh. The most I could get was the slimy coating that covers the flesh. It was still a nice treat! 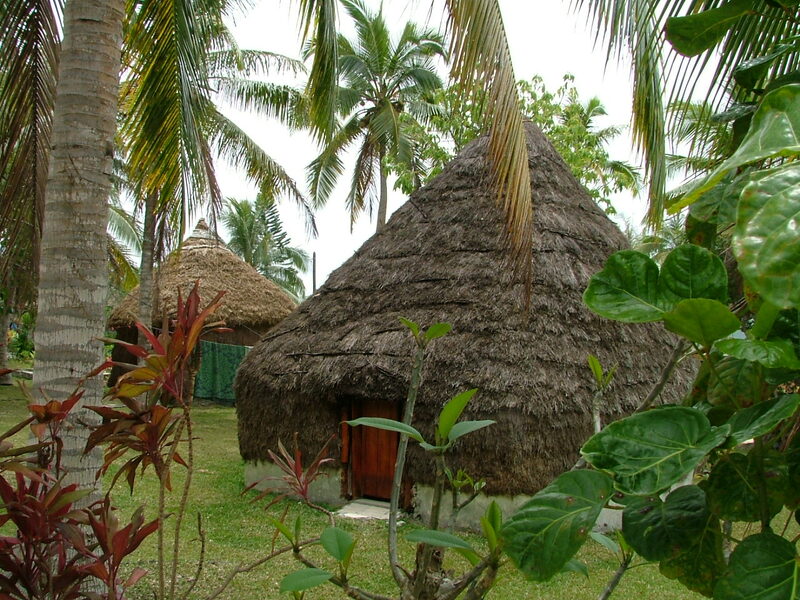 In my wandering I found some huts that looked interesting. I eventually headed back to the beach for a refreshing dip in the water!